I love berets, in fact, I'm a huge hat fan in general. I think they can add such a chic touch to an outfit! They are also great on those days you just don't have time to do your hair or your hair just isn't cooperating. I feel like a hat can just add so much to a simple outfit and take it up a notch for sure! 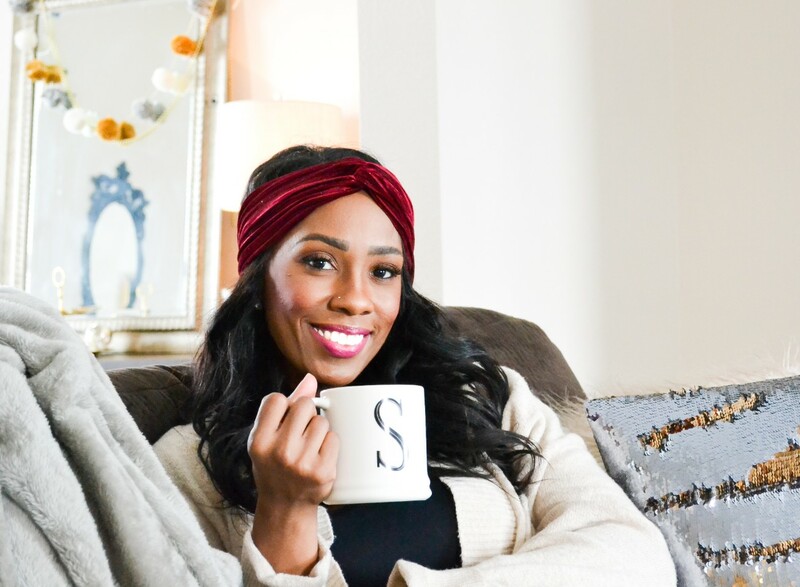 I tend to keep my outfits fairly simple most days and hats are an amazing way to add a pop of color or a chic accent to any outfit. This particular outfit was all about the basics. I wore my favorite high waisted leggings, an oversized white button down shirt, a velvet military inspired blazer, and my favorite OTK boots. 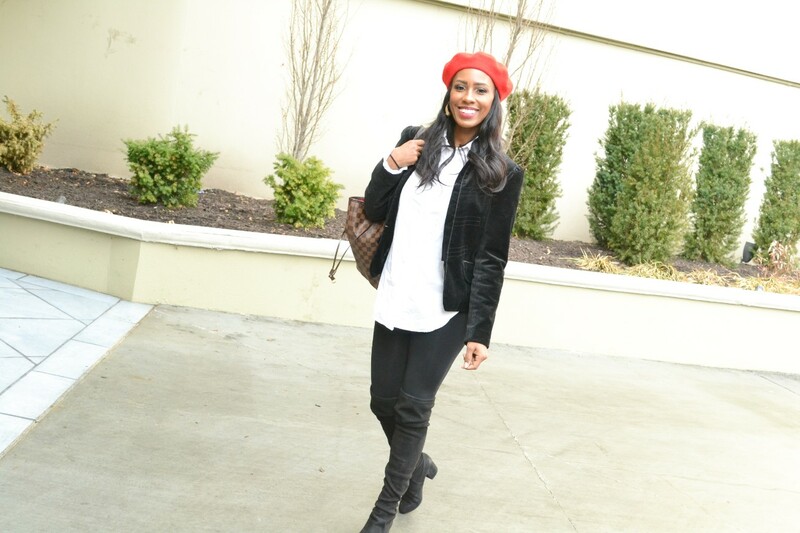 I topped off this look with a red beret. I bought this particular beret at Forever 21, I don't see it anymore online so I linked a few similar below. 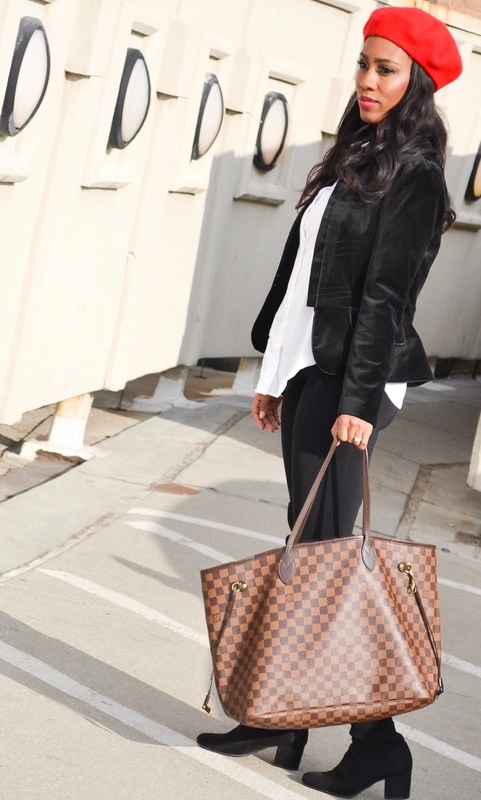 I also linked my boots and leggings below along with similar items for the jacket and white blouse. What's your favorite accessory to add to an outfit?? O M G I loove how the bright red color pops! Need to get myself one of these. Yes you do! Definitely adds interest to a simple outfit! I love beret's! They are so underrated! You look very chic, love how you styled everything here. I am also obssesed with berets, have a black one and a red one like yours. They look so fab and elevate the entire outfit. Myself have a blog post about berets, check it out! 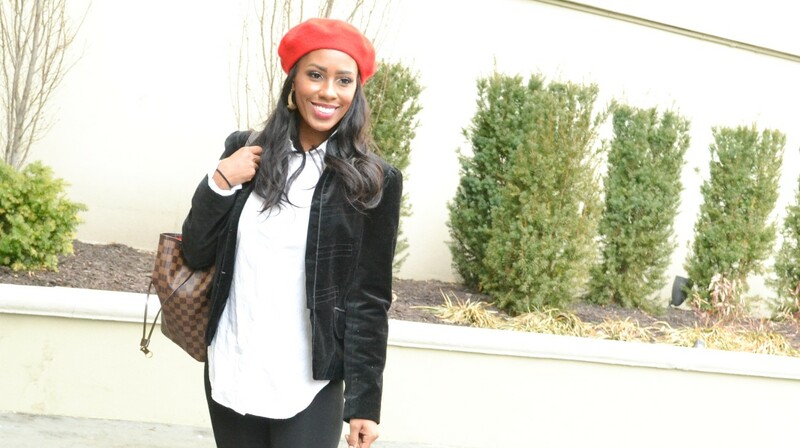 I kind of love this beret trend and that hat looks wonderful on you! Plus -- that blazer is just so cute and super flattering on you. Looking good girl! I have been rocking a black beret from Reformation and I am absolutely loving it. I am also considering purchasing a camel colored beret too. Yes!! 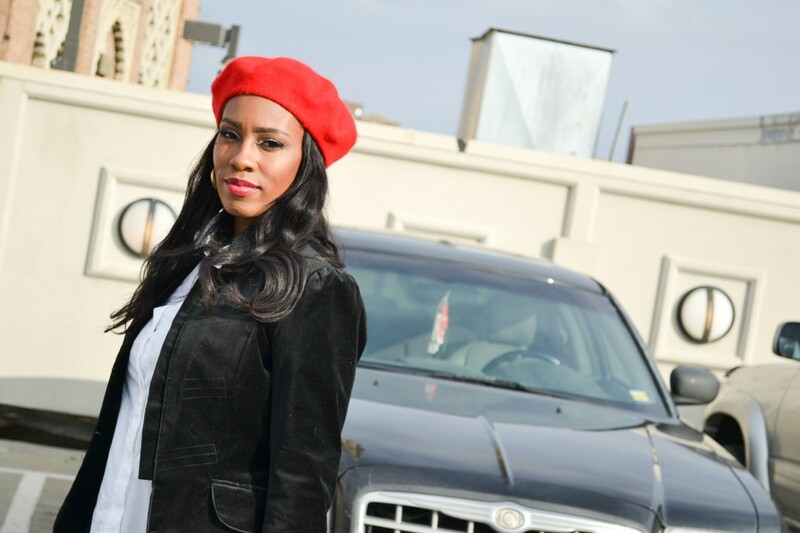 I would love a camel colored beret to add to my closet as well! They are so classic! I literally just bought a black beret to wear to see Black Panther lol. So cute! I always think my hair is too short for berets. Beautiful photos!!! I love beret hats I really need to get me a black one!